Millions of characters of content have been published about how to go about attracting customers from the highly sought after Millennial segment. And, from a banking perspective it usually focuses on the necessity of being leading edge with online and, especially, mobile tools and access technology. That’s all well and good, but I’d opine that maintaining convenient digital access is a worthy and necessary ongoing goal for any financial institution regardless of segment. But don’t let focusing too much on electronic delivery take your eye off the ball of the fundamentals that continue to attract prospects and maintain customers. Millennials are people too. They’re young, sure, but still have needs common to the broader market. They want sound financial information and guidance – how to manage daily finances, buy a home (or not), use and manage debt, save for now and the future. They want to work with companies that demonstrate they are sensitive to their needs and provide the resources that help them make good financial decisions. Much of what needs to be delivered still comes from human interaction. Which is why branch delivery still measures as important to this group. There is even increasing evidence that many are actively seeking ways to disengage from overusing technology. So, certainly don’t ignore providing the next shiny object. But not at the expense of maintaining the service and personal touch that has served you well in the past and will so too in the future. We’re excited to tell you we’ve redesigned our website. Much of the time, like the shoemaker’s kids’ shoes, our marketing can fall to the bottom of the priority pile – behind client websites and other important client work. And, as such, early this year we launched a new website that we had worked on for over a year and were very proud of – visually stunning, clean and totally represented our brand. Now only months later we are unveiling a new, completely different website. Maybe it was to see if we could accomplish the challenge of this seemingly impossible task, or maybe we decided a bigger change was in order. Whatever the reason, we put our best resources on it – between our clients’ work of course – and we made it happen. Proving how nimble we are and how much we believe in what we do. So, welcome to d.trio 3.0 (no pun intended). Nimble, digitally on the cutting edge, dynamic and, yes, still beautiful. We believe it’s the best of both worlds – aesthetics and functionality. We hope you’ll agree. See the new d.trio.com. After years of decline, direct mail marketing may soon be getting a nice boost, courtesy of the United States Postal Service. This fall in New York City, the USPS is testing a new service called Real Mail Notification (RMN). Combining old-fashioned physical mail with digital technology, RMN sends subscribers (users have the option to opt in or out) a daily email at 8:00 each morning. The email contains digital pictures of the mail they’ll find in their mailbox later that day. At first blush, the whole thing may seem a bit unnecessary. Has our need for immediate gratification gotten so far out of control that we can’t wait a few more hours to find out what’s in the mail that day? But as marketers, if we’re presented with a tactic that can speed up and enhance results, we’re all ears. Turns out, RMN does some have real, concrete advantages. Not only does it provide extra convenience for mail recipients (imagine you’re out of town and expecting a letter, or want to know what’s inside your P.O. box before making the trip to the post office), but it could also be a pretty big deal for marketers, too. 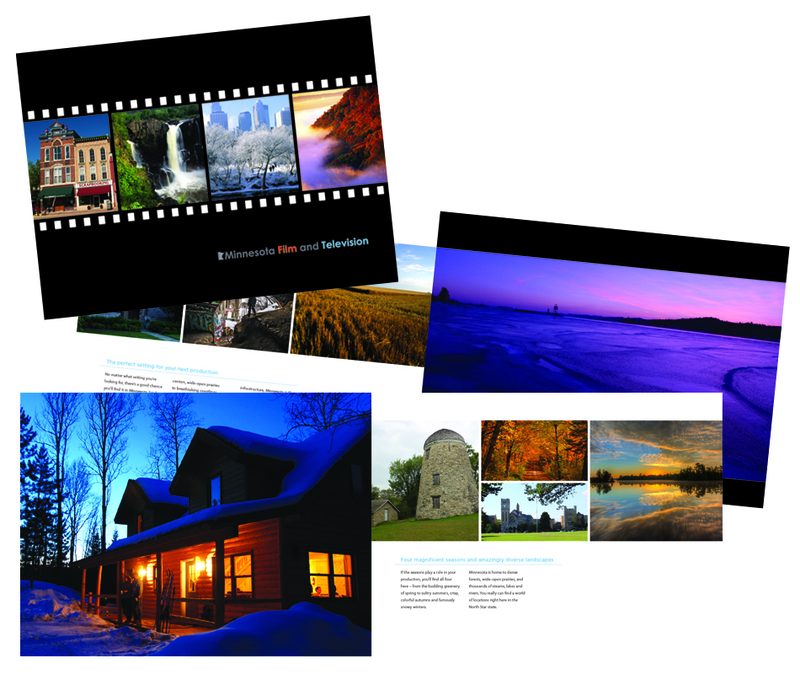 Studies show the average marketing campaign gets a 37% lift when both print direct mail and email are used in tandem. So by providing marketers with an additional—and free (the USPS hopes the service will bring more revenue by increasing overall mail volume)—opportunity to get in front of their audience, RMN can help boost marketing campaigns while establishing the USPS as an integrated marketing channel in its own right. On top of that, RMN allows marketers to add interactive features so people can link to websites or make online purchases. It’s a clever little idea by the USPS. After all, they already take photos of all the mail as it whizzes through the sorting machines. The USPS realized that if they emailed these high-speed, black-and-white photos to recipients, they could actually facilitate a multichannel marketing campaign that would increase marketers’ response rates and ROI. And from the USPS’s point-of-view, the added digital component could give marketers a new reason to send out more direct mail pieces, ultimately helping their own bottom line. So far, RMN seems to have a lot of potential. Earlier this year, a test of 6,600 users in Northern Virginia showed that 93% opened the emails within two hours of receiving them. Nine out of 10 said they’d continue using the service, and 86% said they’d recommend it to others. But the most important findings were in regard to the response rates. The average response rate of RMN subscribers was 5.9%, compared to just 0.5% for a control mailing. Much of that (4.8%) came via click-through options. As more and more people screen or block out TV commercials, radio, telemarketing, emails, and mobile ads, direct mail is one vehicle that continues to reach its audience. But while excitement builds for RMN, it’s hard to know whether it will be a service that people will embrace long term. Once the initial curiosity wears off, will people find it relevant or annoying? While many marketing emails get deleted without being opened, RMN has one very important thing going for it. People love to find out what’s in the mail. There’s an inherent curiosity about checking our mailboxes that just may give RMN a good chance at survival. As long as people want to know what they’ve got in their mailbox each day, the USPS has a built-in reason for people to click open their emails. Whether they choose to interact with it or not is another thing. But for increasing the sheer number of eyeballs on a given marketing piece, RMN seems to add value. Should we all expect to be viewing our daily mail on our computer screens soon? Time will tell. But in the meantime, there’s reason for marketers to be optimistic. RMN just might be a great new tool for giving their bottom lines a little bump. Welcome to the d.trio Battle of the Brands! In this recurring series we’ll be seeing how some of our favorite brands stack up against each other in a direct comparison. We’re all suckers for good brand marketing here at d.trio (duh – that’s what we do for a living) and we all have our loyalties. We’ll be testing those out with a series of blind taste tests and then assessing how our pre-existing brand perceptions influence our feelings about the results. This time around we’re tasting Gummy Bears, and while you might expect it to be a close race, we found a huge contrast between three popular brands. This did not turn out like we thought, which is why we do this in the first place. Particulars: Powdery and hard texture with an overall sour flavor. Particulars: In general people found Haribo to be too chewy or hard, and thought the flavor was bland. This revelation was particularly disappointing to Catherine as she has a personal affinity for Haribo gummy products. Sorry, Catherine. So, the gas station brand comes out on top of this Battle of the Brands. We were shocked Haribo didn’t perform better considering its (quote, un-quote) cult following and unofficial “best gummy bear” brand status. Fred recommends not doing a gummy bear taste test with coffee as your palette cleanser. Maureen had never tried gummy bears before and was pleasantly surprised, although she said she likely won’t eat them again. Megan continues to hate gummy candies, but also continues to be a good sport. Until the next Battle of the brands! Our word of the month this month is Persona. We chose it because it’s a flexible word that can mean how you project yourself socially or professionally, it’s about how people perceive you from the outside. The dictionary describes it as the image or personality that a person presents to other people. As marketers you likely already know that personas are important in marketing. Before social media we called them audiences or target markets – using demographics and psychographics to try to put a face and personality to a group of people. Why do we do this? It’s always easier to write or design to a specific audience than it is to create something generally appealing and if we choose a persona to speak to, our messaging and creative will be more relevant. Now we take it a step farther. We have more data than ever to help us develop relevant content for our prospects. Taking the time to develop personas of your best customers will strengthen your marketing because you’ll be talking to the people you want to talk to, inviting them in with messaging and offers meant for them. Developing personas that are fleshed out with potential interests (kid’s sports, marathon running, etc.) will boost your messaging – to be more personal and engaging – helping to make that important connection and engagement with prospects. It’s not just for social media, it makes all of your marketing strategies stronger. Imply suggests or indicates directly. Infer is to conclude or decide from something known or assumed. Around should refer to a physical proximity. About indicates an approximation. Historic means important. Historical refers to an event in the past. Adverse means unfavorable. Averse means reluctant.